Montana may be best known for cowboys wrangling herds of beef cattle or vast fields of wheat and sugar beets, but the Big Sky State’s agricultural bounty is much more diverse. Products such as apples, berries, other fruits and market vegetables, wine grapes, horticulture and nursery crops, as well as pulse crops – things like lentils, peas and beans – are known as specialty crops. He adds that on larger-scale operations, specialty crops offer an opportunity for diversification so farmers have options to add to their crop rotations, helping to break disease and weed cycles. Zach Miller, superintendent/assistant professor at Montana State University’s Western Ag Research Center in Corvallis, says that since agriculture is a huge part of the state’s economy, diversifying the crops farmers grow adds a lot more resiliency. To help Montana’s specialty crop farmers sustain these important crops, Auer works with the United States Department of Agriculture (USDA) to award funds through the Specialty Crop Block Grant Program. “At the state level, we are responsible for implementing a process to award funds, as grants, to projects that enhance the competitiveness of specialty crops in Montana,” Auer explains. The goal is to ensure a steady and abundant supply of fruits, vegetables and other specialty crops for American and international consumers. 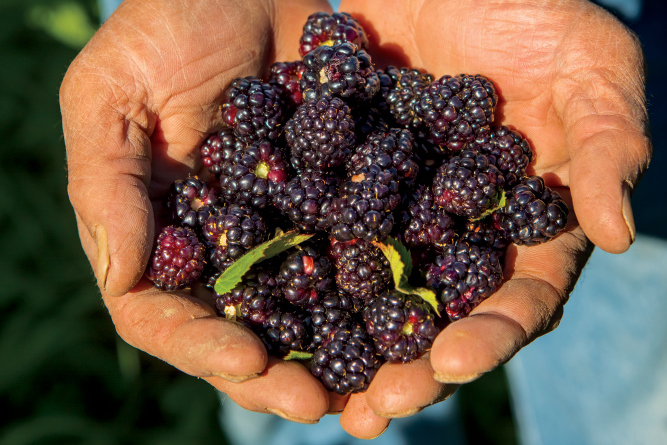 In order to qualify for a Specialty Crop Block Grant, farms must meet a number of requirements, but Auer says the most challenging is demonstrating that the project will have benefits beyond their own farm. “Usually, this means that the farmer needs to be willing to host a field day or engage in some other outreach effort to show what they’re doing on their farm and help other folks be able to follow their model. We often suggest farmers work with their local Extension office or one of the MSU research stations,” he says. The MSU research station where Miller works is one of seven across the state. The Western Ag Research Center serves fruit and vegetable growers, and is the only horticultural center in Montana. Miller says they work closely with MDA and other groups to help farmers with high-value small-acre crops, including through the Specialty Crop Block Grant Program. He adds that along with the superfruit project, they’ve used grant funds to help support apple production, as well as grape and wine production in the state. Auer points to some other examples of how the grant program has benefited Montana. 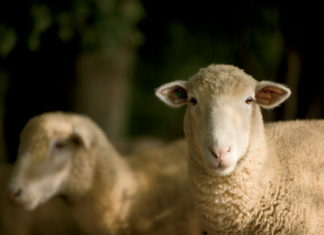 An inside look at the Montana wool and sheep industry.